The opening of the new office was held yesterday in the very center of the city of Kirishi! 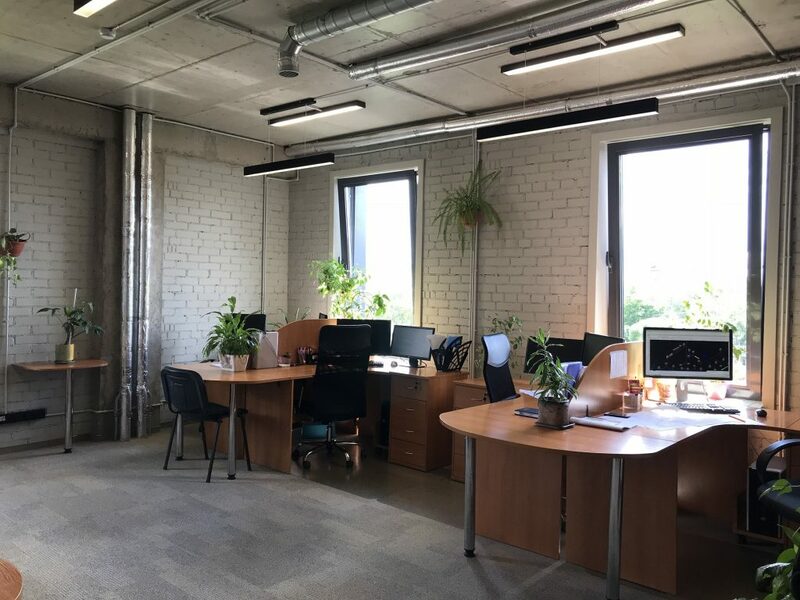 From now all the staff of NAUKA’s Kirishi unit work in a comfortable office in Brovko Square 2, right opposite the administrative center of the “KINEF” corporation. The transfer took place at the end of June 2018, and yesterday the Kirishans held an official opening ceremony. 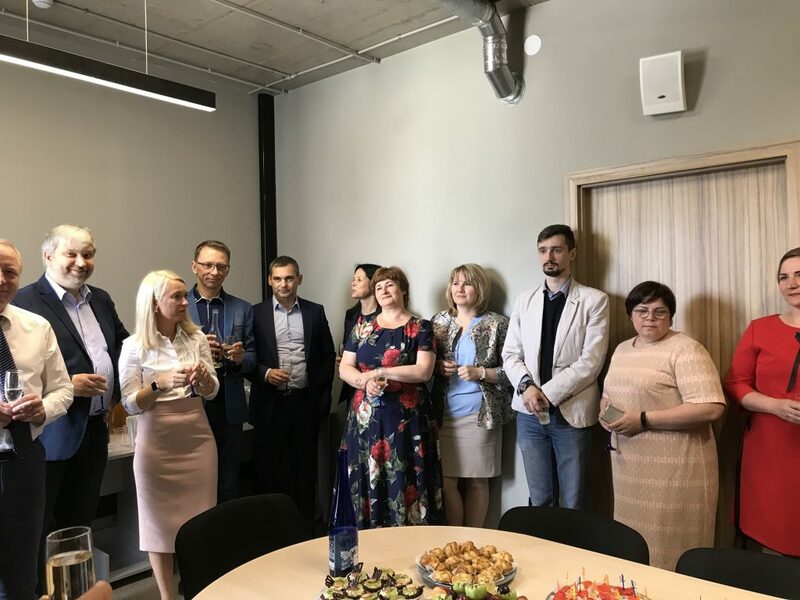 “The house-warming” cereption was attended not only by many our St. Petersburg colleagues, but also by representatives of our dear partners: Koronatov N.N., Laptev N.V., Pastukhov V.A., Fedyanina M.N., Pashkov P.V., Flotsky V.I. A lot of wonderful words were said about fruitful cooperation, everyone wished us success and new achievements. 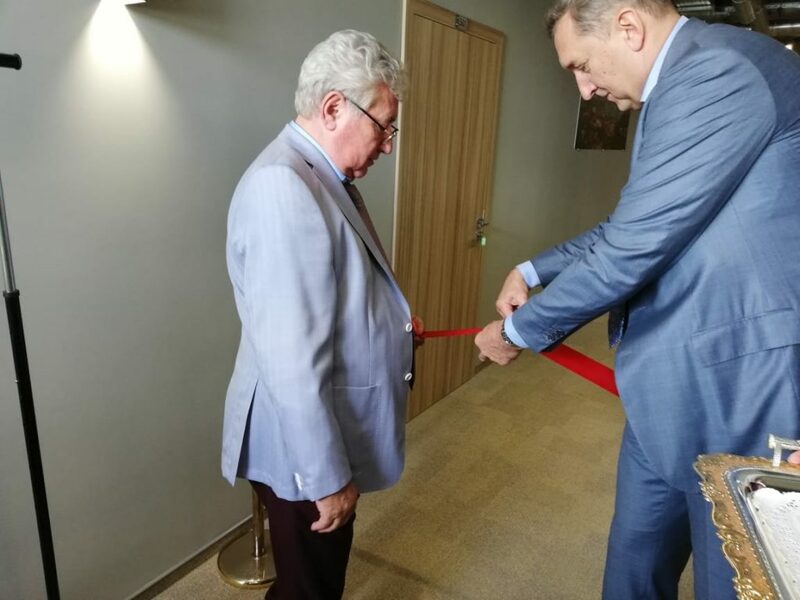 The event was not without a red ribbon, which was cut by our President Nikolai Vasilyevich Lisitsyn together with Somov Valery Yevseyevich. Congratulations to all employees of the new office! We hope they will be comfortable in the new place!